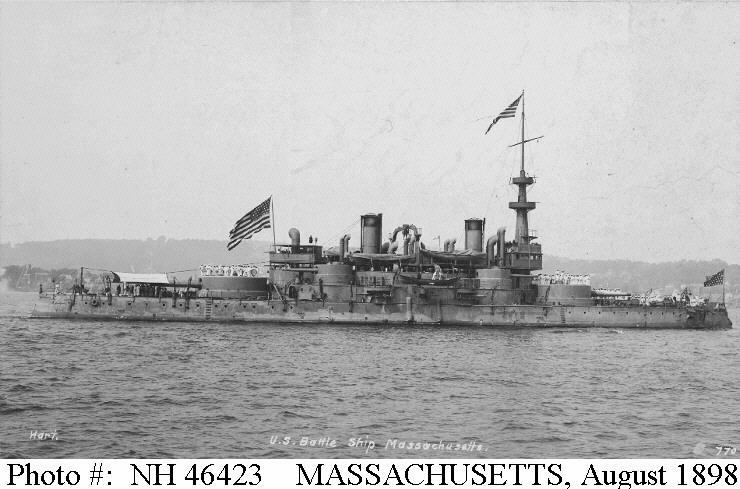 ↑USS Massachusetts. 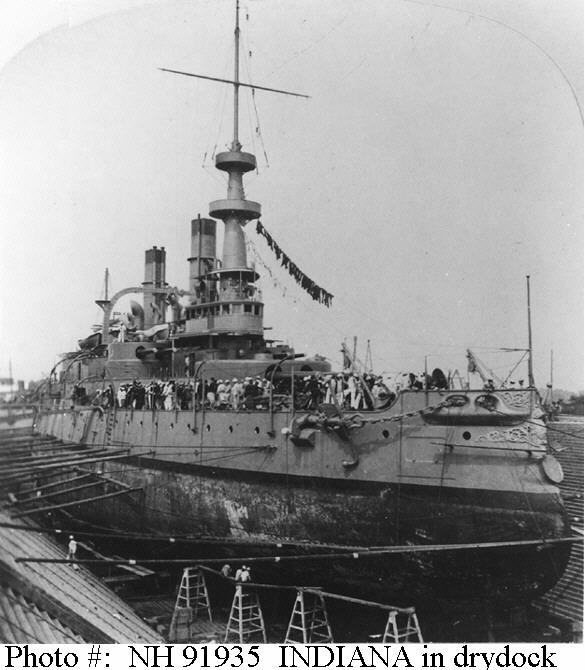 Photographed by E. H. Hart off New York City, during the victory review, circa August 1898. U.S. Naval Historical Center Photograph. ◎Blockade of Cuba 1898. Bombardment of Sun Juan, 12 May 1898 and of Santiago, 2 Jul 1898. Battle of Santiago. ◎Blockade of Cuba 1898. Bombardment of Santiago forts, 6 and 16 Jun and 2 Jul 1898. ◎Made historic 14,000-mile voyage from San Francisco to Florida around Cape Horn, 19 Mar-14 May 1898. Blockade of Cuba 1898. Bombardment of Santiago forts, 6 and 16 Jun and 2 Jul 1898. Battle of Santiago. Asiatic Station 1899-1900, 1903-1906. Philippine campaign.